The Morning After ~ Once Upon a True Love’s Kiss Release! Woo-hoo!!! Release Day has come and gone and oh! what a time we had celebratin’ our box set release, Once Upon a True Love’s Kiss! There was a glitch with Amazon that sent us frantically hopping around like bilge rats fleeing a sinkin’ ship but thankfully everything worked out. The box set is out and is getting RAVE reviews on Amazon and Goodreads! Huzzah and Hoorah!!! I’m exhausted. Partyin’ all night will do that to a pirate. And what a partay it was! Our well-attended Kiss & Tell Facebook Release Party was a FABulous success, me hearties! Special thanks to all of the authors who brought lots of epic fun and treasured giveaways: Eileen Dreyer, Renee Bernard, Anna Campbell Author Page, Jane Charles, Ari Thatcher, Susana Ellis, Erica Ridley, Ella Quinn, Romance Author, Author Christy Carlyle, Collette Cameron Romance Author, Samantha Grace, Lauren Smith, Alanna Lucas, Gina Conkle, Writer, Alexandra Hawkins, Author Victoria Vane, Eileen Richards, Eva Devon, Ava Stone, Julie Johnstone, Elizabeth Johns, Deb Marlowe, Jerrica Knight-Catania Author, Shana Galen, Jillian Chantal Author, Sue London, Sandy Raven and yours truly at Katherine Bone! And we couldn’t have done it without the FABulous expertise of our partay host, Lady Debbie McCreary PA! Thanks, m’lady for steerin’ us strategically toward shore at punctual 15 minute intervals. Woot! While me and the other authors in Once Upon a True Love’s Kiss gather our wits and take a much-needed breath, we’d like to share the ports we’ll be venturin’ to today. Don’t miss our Q&A Spotlight at Fresh Fiction TODAY! What better way to get to know us better, eh? We’re also venturin’ to Alina K. Field’s Simply Romance Blog today! Thank you, Alina!!! It’s a great time of year to snuggle up with a cozy blanket, some hot chocolate, and the Once Upon a True Love’s Kiss box set! Cap’n’s Next Port O’ Call: The Duke’s Christmas Party! The powerful Duke of Danby is at it again, me hearties! 1816 was the year without a summer, but what a Christmas it will be when His Grace finally turns his matchmaking machinations to distant branches of the Whitton family tree. Yo Ho!!! Join Authors Ava Stone, Lily George, Rose Gordon, Aileen Fish, Claudia Dain, Jane Charles, Deb Marlowe, Marie Higgins, and Jerrica Knight-Catania for a holiday celebration that you’ll never forget at The Duke’s Christmas Party on Facebook, November 3, 2015, from 4 p.m.-9:40 p.m. (EST)! 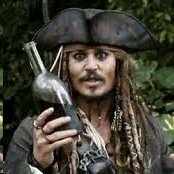 I’ll be sailin’ in with me own brand of swashbucklin’ shenanigans and Christmas treasure at 8:20 p.m. (EST)! “We never leave home without it, Jack.” Saucy wink. 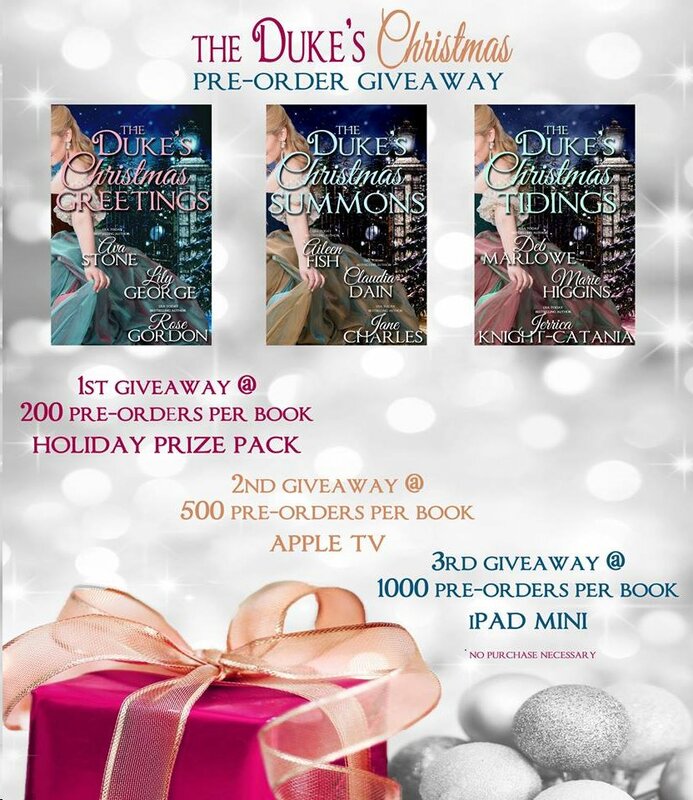 To celebrate their upcoming release of the new Duke of Danby’s Christmas Collections, the authors of this wonderful set are offering some super fun giveaways in time for the holidays!!! Yeeaauuss! That’s spectaculARR treasure to them what knows! 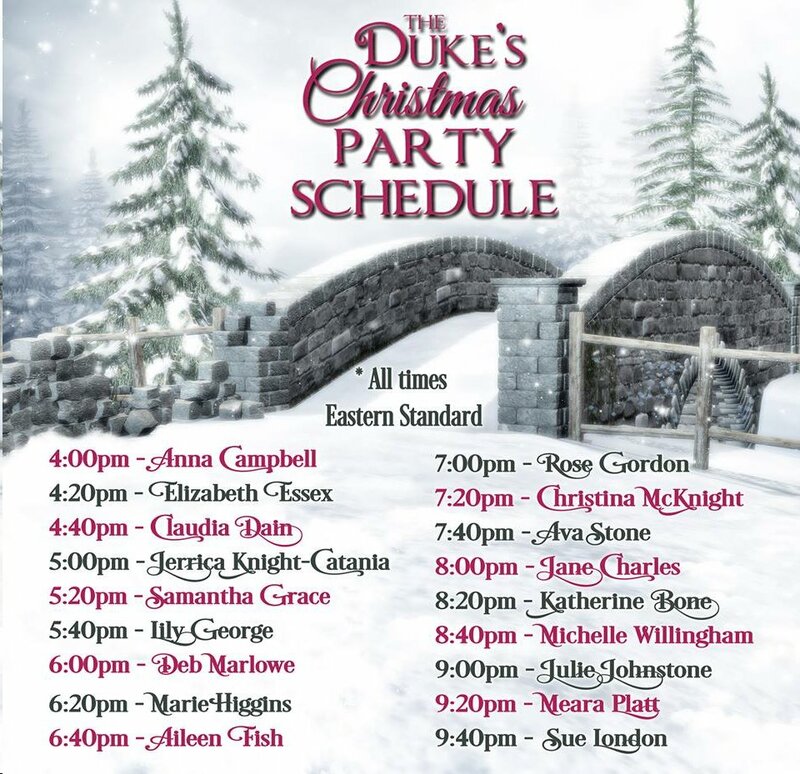 I hope to see you at The Duke’s Christmas Party on Facebook. And I wish you the best of luck in this FABulous treasure hunt! USA Today Bestselling Author Julie Johnstone’s FB Partay! Ahoy, me hearties, it’s party time! Nothing like getting together a historical romance author crew and sailing toward exciting adventure with the promise of treasure in sight! And that’s just what I’ll be doing tomorrow evening at 5 p.m. (Central) to help USA Today Bestselling Author Julie Johnstone celebrate the release of her latest romance AFTER FOREVER.